An exploration of sibling love and the challenges of being a younger sibling, from the author of the multi award-winning classic Ways to Live Forever. Sam is sick, and Ella is sick of Sam. Life seems to revolve around his hospital appointments, his medication and his need for peace and quiet. 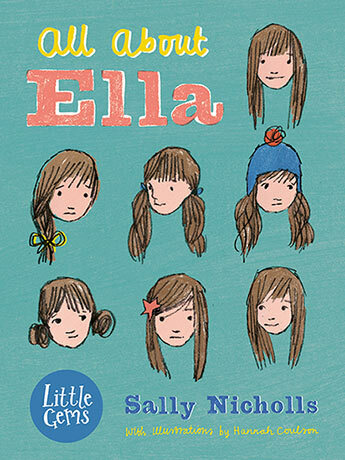 No one thinks about what Ella wants or needs, no one cares. They don't even know what day she was born on. In the end, Ella decides she doesn't care if Sam gets sicker, but when it happens, she finds she cares an awful lot. Sally Nicholls is the highly-acclaimed author of Ways to Live Forever which won the Waterstones Children's Book Prize and was shortlisted for the Branford Boase Award, among many others. Her most recent title An Island of Our Own has been shortlisted for the Guardian Children's Book Award and the Costa Children's Award, and won the Independent Booksellers Week Award in 2015.